Thank you for visiting my website. If you are looking at this the chances are that you are looking for someone to help guide you through some current issues that you may be struggling with. Talking to a therapist may help you gain a different perspective on these issues and thus help you to understand them and move forward. I believe in providing an individualised therapy programme and will work with you to achieve your goals in a relaxed, confidential and safe way. 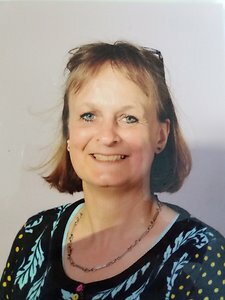 My name is Louise Davis and I have over 30 years of working within both the NHS and private settings in various areas including general nursing, midwifery, health visiting and in mental health services. I currently work as a senior nurse/therapist within the NHS whilst also maintaining my private practice. I have experience in working with depression and all forms of anxiety disorder and stress as well as in eating disorders and those who support them. My practice is based at South Street Clinic in central Dorking within easy reach of many car parks. It is about a 20 minute walk from Dorking and Deepdene train stations and is on several bus routes. I tend to see clients there on Monday and Thursday mornings. Please do feel free to contact me should you have any queries or concerns about therapy. I am registered as a provider with AXA PPP and Cigna.